EFAD is looking for volunteers! 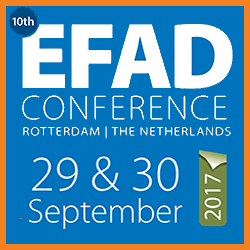 Before the official EFAD conference starts, join ENDietS for a day dedicated exclusively to students! Price? Register for the EFAD conference before the 1st May to get our ‘early bird’ discount and join the students day free of charge! 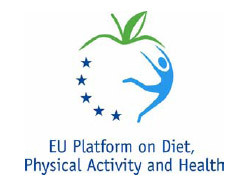 Are you a dietetic student working on a project you want to show to other people? Would you like to share your experience of placement, exchange or internship? Are you now a professional in the field of Nutrition, Dietetics or Food Science? Do you want to tell us about your experience at your work? How did you find your working place? What challenges do you face? How do you tackle them? What would you suggest to change in your education, what to deepen? If you are chosen to speak at the student day, you will benefit from a reduced entry fee of 145 euros for the 10th EFAD conference on the 29th and 30th of September 2017. * Short abstract of your work/project/internship, etc. An opportunity to attend the 10th EFAD conference FOR FREE!! The International Sweeteners Association (ISA) is offering 2 lucky students the chance to attend the 10th EFAD conference completely free of charge- in exchange for your help on their stall at the conference. If you can speak both Dutch and English fluently, please send an email explaining why you should be chosen for this opportunity to Mrs Caroline Hance atisacomms@ecco-eu.combefore 30th March. Please find here the report on the added sugars survey in Switzerland in French. Download. The theme for this year’s World Salt Awareness Week is ‘Salt: The Forgotten Killer’. It ran from March 20-26 2017. This year World Salt Awareness Week was focussing on Hidden Salt. For more information please click here .